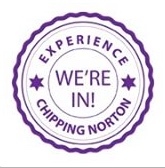 Over the last three years the Town Council’s Neighbourhood Plan Steering Group has been working towards a final version of a Neighbourhood Plan for Chipping Norton. After much hard work the Plan is now complete and will be put to a referendum on 3rd March. Come along on 25th February to learn what’s in the Neighbourhood Plan, why it matters for Chipping Norton and its businesses and why we think it could benefit everyone that lives and works here. A brief presentation regarding the imminent referendum will be followed by a Q&A session.